Hartmut Schultz Kommunikation GmbH (HSK) is an owner-managed consulting company offering extensive expertise in the field of strategic communication, especially in sensitive and complex situations. Since its formation in 2002, HSK has advised enterprises, business owners, investors, institutions and management, providing support for their communication and media activities in the areas of reputation, conflicts, crises and change processes, within the scope of transactions and with regard to their long-term competitive positioning. Working closely with its clients, it protects and promotes their interests and to this end, operates in a well-established network of media, political institutions and industries. HSK creates or restores scope for action and contributes to assessment and opinion-forming processes by highlighting facts and circumstances that are often overlooked by public opinion. In this context, business activity is based on absolute discretion, HSK laying great value on personal co-operation with its clients built on trust. It acts mainly on the basis of recommendations and for clients who clearly carry conviction, whereby HSK often accompanies them for many years, showing great loyalty and devoting all its strength, even in the most difficult situations. A total of fifteen consultants and staff are active throughout the HSK consultancy network. In addition to its offices in Munich and Bern, HSK is also able to represent the interests of its clients outside Germany via a complementary network of international partner agencies.Since its formation in 2002, HSK has advised enterprises, business owners, investors, institutions and management, providing support for their communication and media activities in the areas of reputation, conflicts, crises and change processes, within the scope of transactions and with regard to their long-term competitive positioning. Working closely with its clients, it protects and promotes their interests and to this end, operates in a well-established network of media, political institutions and industries. A total of fifteen consultants and staff are active throughout the HSK consultancy network. In addition to its offices in Munich and Bern, HSK is also able to represent the interests of its clients outside Germany via a complementary network of international partner agencies. HSK creates a strong corporate reputation for its clients on a long-term basis. It helps to acquire customers and employees, consolidate their competitive position and appeal to both investors and shareholders. Focus is on developing, optimising and implementing communication strategies, which also includes handling all contacts with the press. This allows clients to benefit from the many years of experience and extensive industry expertise, as well as HSK´s well-established network. If required, HSK also provides clients with advice on developing and implementing an efficient structure for their corporate communications, designed to meet their specific needs. Its clientele includes well-known companies operating in various sectors, from DAX-listed enterprises to family and medium-sized businesses.HSK creates a strong corporate reputation for its clients on a long-term basis. It helps to acquire customers and employees, consolidate their competitive position and appeal to both investors and shareholders. Focus is on developing, optimising and implementing communication strategies, which also includes handling all contacts with the press. This allows clients to benefit from the many years of experience and extensive industry expertise, as well as HSK´s well-established network. If required, HSK also provides clients with advice on developing and implementing an efficient structure for their corporate communications, designed to meet their specific needs. Its clientele includes well-known companies operating in various sectors, from DAX-listed enterprises to family and medium-sized businesses. HSK plays a part in ensuring that transactions are processed to meet with the greatest possible acceptance and bidders are able to assert themselves against the competition. Based on this understanding, it structures communication with the media, politicians and administration, regional players, customers and employees. HSK acts as the point of contact for these groups, advising on and steering the communication processes and their content. Subject to close consultation with lawyers, banks and M&A consultants, HSK has successfully advised clients, both as buyers and sellers, in the course of takeovers and transactions amounting to a total volume of more than 4 billion euros. It also provides support for post-merger processes, as well as during restructuring and reorientation phases aimed at stabilising transactions previously concluded and exploiting the targeted value creation potential.HSK plays a part in ensuring that transactions are processed to meet with the greatest possible acceptance and bidders are able to assert themselves against the competition. Based on this understanding, it structures communication with the media, politicians and administration, regional players, customers and employees. HSK acts as the point of contact for these groups, advising on and steering the communication processes and their content. Subject to close consultation with lawyers, banks and M&A consultants, HSK has successfully advised clients, both as buyers and sellers, in the course of takeovers and transactions amounting to a total volume of more than 4 billion euros. It also provides support for post-merger processes, as well as during restructuring and reorientation phases aimed at stabilising transactions previously concluded and exploiting the targeted value creation potential. In the event of restructuring measures having wide-scale implications for both locations and employees, HSK increases its client´s scope, especially in conflict-prone constellations and provides assistance in reducing resistance to change. In this context, HSK develops suitable communication strategies vis-à-vis the media, customers, employees, unions, local and political representatives, as well as overseeing their implementation. HSK works closely with lawyers offering specialised expertise in the field of collective labour law and also supervises subsequent communication activities with a view to creating ongoing acceptance for the implemented measures.In the event of restructuring measures having wide-scale implications for both locations and employees, HSK increases its client´s scope, especially in conflict-prone constellations and provides assistance in reducing resistance to change. In this context, HSK develops suitable communication strategies vis-à-vis the media, customers, employees, unions, local and political representatives, as well as overseeing their implementation. HSK works closely with lawyers offering specialised expertise in the field of collective labour law and also supervises subsequent communication activities with a view to creating ongoing acceptance for the implemented measures. Apart from the legal disputes involved, major lawsuits also have a rapid and far-reaching impact on the reputation of the parties concerned, generating considerable interest on the part of the media and general public. In such situations, HSK provides its clients with close and confidential advice and support, acting as a point of contact for the media and also combining their lawyers´ legal strategy with a communication strategy that promotes a more nuanced public image and does justice to the client.Apart from the legal disputes involved, major lawsuits also have a rapid and far-reaching impact on the reputation of the parties concerned, generating considerable interest on the part of the media and general public. In such situations, HSK provides its clients with close and confidential advice and support, acting as a point of contact for the media and also combining their lawyers´ legal strategy with a communication strategy that promotes a more nuanced public image and does justice to the client. Based on broad experience, HSK contributes to the professional and successful management of crises. It supports its clients in communicating the right messages to both internal and external players in order to build trust on a sustainable basis. HSK advises companies on crisis prevention, on structuring and implementing their planning and processes and also in specific crisis situations. Always with the goal of averting damage as far as possible by ensuring that companies are well-prepared for and act both professionally and at an early stage in a crisis. In the event of a crisis, HSK takes over entire control of communications and media relations on an ad hoc basis, also in the field. HSK has extensive experience in dealing with crises arising from insolvencies and economic crisis situations, with antitrust proceedings, product scandals in the retail and food sectors, as well as disasters leading to wide-scale discussion on corporate responsibility.Based on broad experience, HSK contributes to the professional and successful management of crises. It supports its clients in communicating the right messages to both internal and external players in order to build trust on a sustainable basis. HSK has extensive experience in dealing with crises arising from insolvencies and economic crisis situations, with antitrust proceedings, product scandals in the retail and food sectors, as well as disasters leading to wide-scale discussion on corporate responsibility. Regulations formulated at federal state and national or at cantonal or federal level, or by the EU, define the commercial opportunities open to industries and companies in terms of competition. They set limits or provide scope for development. In this context, the media and their positioning in political decision-making processes play a key role in shaping the opinions of political performers. HSK advises and provides strategic media support for associations, institutions, political consultants and industry clients in shaping regulatory environments, gaining room for manoeuvre and asserting their interests. HSK is, for instance, active in areas involving particularly sensitive consumer protection issues and areas affecting the structure of operating parameters for the retail trade, as well as the media, Internet and advertising sectors. HSK works for various companies and associations at both a national and European level.Regulations formulated at federal state and national or at cantonal or federal level, or by the EU, define the commercial opportunities open to industries and companies in terms of competition. They set limits or provide scope for development. In this context, the media and their positioning in political decision-making processes play a key role in shaping the opinions of political performers. HSK advises and provides strategic media support for associations, institutions, political consultants and industry clients in shaping regulatory environments, gaining room for manoeuvre and asserting their interests. HSK is, for instance, active in areas involving particularly sensitive consumer protection issues and areas affecting the structure of operating parameters for the retail trade, as well as the media, Internet and advertising sectors. HSK works for various companies and associations at both a national and European level. Situations involving career changes on the part of executive board members or directors entail high reputational risks if these are accompanied by public disputes with their previous company. Media assessment is an important factor in paving the way for future career opportunities. HSK advises and provides close support for its clients during this phase, with a view to protecting their personal reputation. It handles all contacts with media representatives and promotes knowledge of and understanding for personalities and factual situations, as well as transparency regarding the interests of third parties, providing for impartial evaluation. To this end, HSK also reveals sides of the coin excluded from public perception and creates perspectives which help to protect its clients´ interests.Situations involving career changes on the part of executive board members or directors entail high reputational risks if these are accompanied by public disputes with their previous company. Media assessment is an important factor in paving the way for future career opportunities. HSK advises and provides close support for its clients during this phase, with a view to protecting their personal reputation. It handles all contacts with media representatives and promotes knowledge of and understanding for personalities and factual situations, as well as transparency regarding the interests of third parties, providing for impartial evaluation. To this end, HSK also reveals sides of the coin excluded from public perception and creates perspectives which help to protect its clients´ interests. The sustained success of a company is defined by its willingness to co-operate with its stakeholders in an economic, political and social context. At the same time, every business decision has an impact on these spheres. HSK identifies political and regulatory parameters and advises its clients on their strategic positioning and on implementing certain courses of action. In the event of representing justified interests vis-à-vis regulatory decision-makers at local, national and EU levels, HSK supports its clients in communicating in a clear, authentic and plausible manner. Appreciation for concerns and awareness of the relevant facts alters decisions in the interest of its customers and their stakeholders.The sustained success of a company is defined by its willingness to co-operate with its stakeholders in an economic, political and social context. At the same time, every business decision has an impact on these spheres. HSK identifies political and regulatory parameters and advises its clients on their strategic positioning and on implementing certain courses of action. In the event of representing justified interests vis-à-vis regulatory decision-makers at local, national and EU levels, HSK supports its clients in communicating in a clear, authentic and plausible manner. Appreciation for concerns and awareness of the relevant facts alters decisions in the interest of its customers and their stakeholders. The retail trade is undergoing a radical change. Faced with the challenges of international expansion and the opportunities for distribution and communications offered by digitisation and multi-channel activities, traditional business models need to be redefined. HSK advises international market leaders in the retail sector on communication activities vis-à-vis the media, their key stakeholders and staff relating to reorientation processes and ongoing development of their business models. It creates convincing perspectives in terms of both their strategy and the customer value added. At partner level, HSK brings many years of experience in managerial positions with a leading international company in the e-commerce sector. HSK´s long-standing clientele include, among others, a leading European consumer electronics retailer, a major international textile group and a market leader in distance selling.The retail trade is undergoing a radical change. Faced with the challenges of international expansion and the opportunities for distribution and communications offered by digitisation and multi-channel activities, traditional business models need to be redefined. HSK advises international market leaders in the retail sector on communication activities vis-à-vis the media, their key stakeholders and staff relating to reorientation processes and ongoing development of their business models. HSK´s long-standing clientele include, among others, a leading European consumer electronics retailer, a major international textile group and a market leader in distance selling. In the wake of media digitisation, media enterprises are experiencing radical changes in both the competitive landscape and their business models. Structuring these processes is also presenting the industry with significant communication challenges in order to convey their strategy and positioning in this environment. HSK´s partners have more than twenty years´ experience in this sector and a well-established network across the media industry. HSK advises leading media and production companies, advertising agencies, associations, digital platforms, broadcasters and business location sponsors on devising and implementing their communication strategies and in this capacity, also acts in many cases as the direct point of contact for the media.In the wake of media digitisation, media enterprises are experiencing radical changes in both the competitive landscape and their business models. Structuring these processes is also presenting the industry with significant communication challenges in order to convey their strategy and positioning in this environment. HSK´s partners have more than twenty years´ experience in this sector and a well-established network across the media industry. HSK advises leading media and production companies, advertising agencies, associations, digital platforms, broadcasters and business location sponsors on devising and implementing their communication strategies and in this capacity, also acts in many cases as the direct point of contact for the media. HSK has bundled its activities in the sports communication sector under hsksports. hsksports advises its clients operating in the areas of sports media, sports marketing, sports rights dealing, associations, clubs and businesses engaged in sponsoring on their media relations and communication activities, on capitalising sponsorships by attracting media coverage and directing their corporate communications at target groups in the sports segment. Clients served by hsksports benefit from a highly-developed understanding of the market and business models in this sector, as well as an established media network which includes both the sporting press and the sports-related business press.HSK has bundled its activities in the sports communication sector under hsksports. hsksports advises its clients operating in the areas of sports media, sports marketing, sports rights dealing, associations, clubs and businesses engaged in sponsoring on their media relations and communication activities, on capitalising sponsorships by attracting media coverage and directing their corporate communications at target groups in the sports segment. Clients served by hsksports benefit from a highly-developed understanding of the market and business models in this sector, as well as an established media network which includes both the sporting press and the sports-related business press. HSK is able to offer extensive expertise in the financial services sector. In addition to providing support and advice in the case of mergers in the sectors of banking, insurance and providers of IT banking services, HSK advises companies in this industry on developing strategic policies for their communication activities and media relations, aimed at improving their market profile and positioning. Having acted for many years as external European press contact for one of the major international private equity funds, HSK has considerable know-how and insight into the business model pursued by investment firms.HSK is able to offer extensive expertise in the financial services sector. In addition to providing support and advice in the case of mergers in the sectors of banking, insurance and providers of IT banking services, HSK advises companies in this industry on developing strategic policies for their communication activities and media relations, aimed at improving their market profile and positioning. Having acted for many years as external European press contact for one of the major international private equity funds, HSK has considerable know-how and insight into the business model pursued by investment firms. The property sector operates in an extremely competitive and volatile market, in which public positioning and reputation have a strong influence on commercial success and failure. In the media environment, networks are of great relevance, these being based on close and long-established personal connections between media representatives and the industry´s key players. For more than ten years, HSK has acted in support of leading enterprises in both the residential and commercial property sectors and has been involved in several of the segment´s major transactions on behalf of investors.The property sector operates in an extremely competitive and volatile market, in which public positioning and reputation have a strong influence on commercial success and failure. In the media environment, networks are of great relevance, these being based on close and long-established personal connections between media representatives and the industry´s key players. For more than ten years, HSK has acted in support of leading enterprises in both the residential and commercial property sectors and has been involved in several of the segment´s major transactions on behalf of investors. The managing partners of HSK have long-standing experiences as seasoned leaders in various industry sectors. They advise their clients in special situations in the area of communication, provide support for a sustainable management of their interaction with politics and media as well as of their reputation. As founder and Managing Partner of HSK, Hartmut Schultz has more than ten years´ experience as head of communications at companies and institutions in the media and telecommunications sector. Prior to forming the company in 2002, he was Head of Corporate Communications and Company Spokesman for the Kirch Group in Munich. As a member of the holding company´s Board of Directors, he was responsible for the strategic orientation and co-ordination of communication activities throughout the group, as well as the strategic development and management of its brand. He was previously in charge of corporate communications at the pay-TV operator PREMIERE WORLD (now Sky Deutschland), public relations at the trade association of commercial broadcasters and audiovisual industry in Germany and acted as spokesman for a regulatory authority. Hartmut Schultz has several years´ teaching experience at Stuttgart Media University and is author and editor of specialist publications on the subject of public relations. 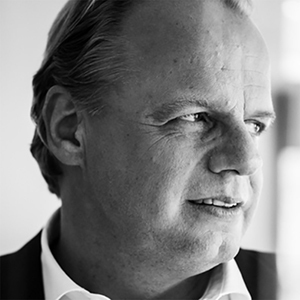 He studied Political Science, Law and Psychology and has a degree in Administrative Science.As founder and Managing Partner of HSK, Hartmut Schultz has more than ten years´ experience as head of communications at companies and institutions in the media and telecommunications sector. Hartmut Schultz has several years´ teaching experience at Stuttgart Media University and is author and editor of specialist publications on the subject of public relations. He studied Political Science, Law and Psychology and has a degree in Administrative Science. Dr. Anja Bundschuh manages the Swiss branch of HSK in Bern. She has more than fifteen years’ experience as Head of Public Affairs and Government Relations with international companies in the media and e-commerce sector, as well as industry associations. For four years, she has advised companies and institutions in Switzerland on strategic communication and public relations issues in her capacity as interim manager. 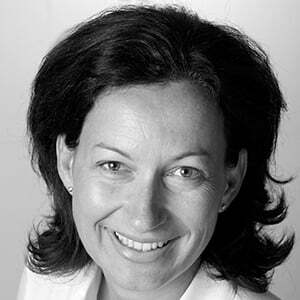 Up until 2010, she headed the Public Affairs Europe department at eBay International AG in Bern. She was responsible for the strategic positioning and implementation of integrated political communication campaigns at EU level, as well as for thirteen national subsidiaries. She was previously in charge of media law and media policy at the Kirch Group in Munich, as well as EU policy activities at the German trade association of commercial broadcasters and audiovisual industry in Brussels. While holding these positions, she also served on the boards of several international and national industry associations. Dr. Anja Bundschuh has gained experience as a speaker at international conferences and as a lecturer of media studies at the University of Düsseldorf and the Bavarian Academy of Advertising in Munich. She studied Communications, Political Economy and Law and has a PhD in Political Science.Dr. Anja Bundschuh manages the Swiss branch of HSK in Bern. She has more than fifteen years’ experience as Head of Public Affairs and Government Relations with international companies in the media and e-commerce sector, as well as industry associations. Dr. Anja Bundschuh has gained experience as a speaker at international conferences and as a lecturer of media studies at the University of Düsseldorf and the Bavarian Academy of Advertising in Munich. She studied Communications, Political Economy and Law and has a PhD in Political Science.